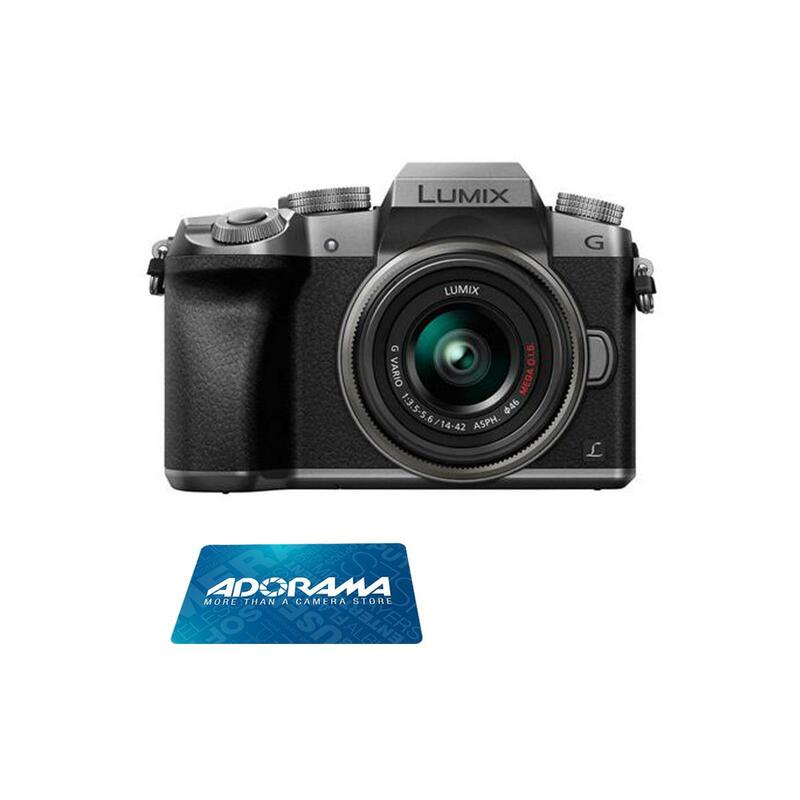 Adorama offers the Panasonic Lumix G7 16-Megapixel DSLM Camera and Panasonic Lumix G Vario OIS 14-42mm f/3.5-5.6 Lens in Silver, model no. DMC-G7KS, or Black, model no. DMC-G7KK, bundled with a $150 Adorama Gift Card for $597.99 with free shipping. The mirrorless camera features a 16-megapixel MOS sensor, OLED viewfinder, 3" tiltable touchscreen LCD, 4K movie mode, contrast detection autofocus, WiFi, and SD cart slot.